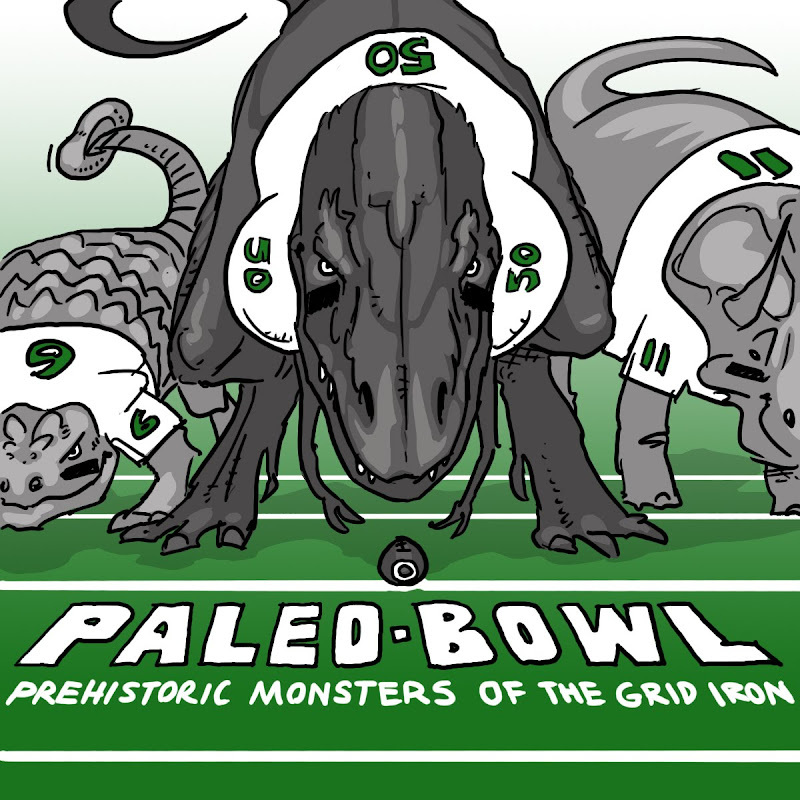 "PALEO-BOWL: Prehistoric Monsters of the Grid Iron"
The Jurassic Giants vs. the Cretaceous Crushers in the dino bowl of the geological epoch! I thought I'd do a Superbowl Sunday appropriate book. This seems like an easy idea to me--I thought for sure someone would have already tackled it. But all I could find on Amazon was dinosaurs playing hockey--which is totally different. Man, you make me want to be an editor. How do I do that? Oooh, the power....! Plus, nice dinosaur book. Have you thought of Rugby? Way scarier sport. A friend of mine knew a boy who died from a snapped neck in a scrum. On second thought, let's keep kids in the dark about that sport. Dinosaurs are ALWAYS a good thing. 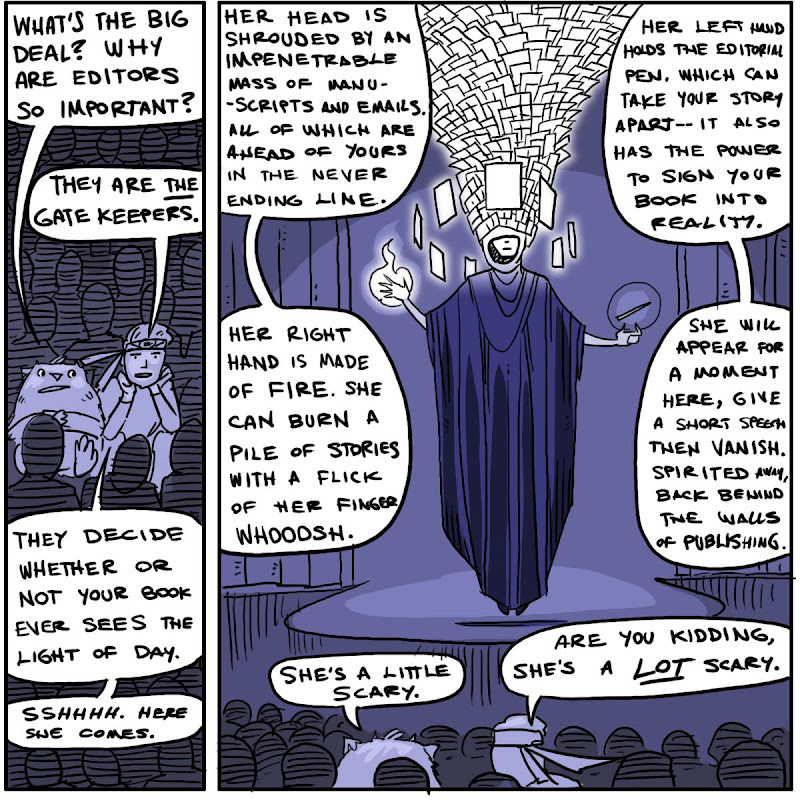 But what about editors as adoring fans who think that authors are geniuses of amazingness who just sometimes get so caught up in the visions of the creative ethers that they forget the occasional comma or deadline?